Hyundai Tucson Fuel Cell drivers have again surpassed an iconic threshold, accumulating more than 1,000,000 miles on the roads and highways of Southern California while emitting only clean water and replacing approximately 385 tons of CO2 emissions that would have been emitted from vehicles of similar size. 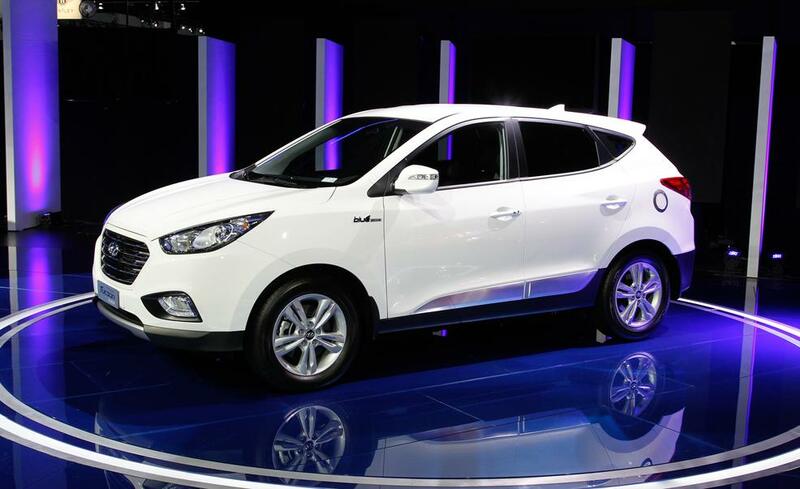 Hyundai has delivered nearly 100 Tucson Fuel Cell crossovers since its introduction as the first mass-produced fuel cell in the U.S. market in June 2014. Hyundai service engineers, with permission from vehicle owners, receive periodic mileage updates from Tucson Fuel Cell vehicles in Southern California, allowing them to calculate cumulative mileage totals as needed to assess fuel cell stack maintenance status. The Hyundai Tucson Fuel Cell CUV has an estimated driving range of 265 miles between fill-ups, similar to many gasoline vehicles. Further, both fuel cell driving range and vehicle performance are minimally affected by either extreme hot or cold ambient temperatures, giving owners an extra measure of peace of mind as they go about their day. Even more important for consumers transitioning from gasoline vehicles, the Tucson Fuel Cell can be refilled with hydrogen in less than five minutes, about the same time as a typical gasoline vehicle. Finally, fuel cell vehicles, due to their compact, relatively lightweight fuel cell stack design, are completely production scalable from very small to very large vehicles, such as urban-focused mini-compact cars all the way to full-size buses and trucks.